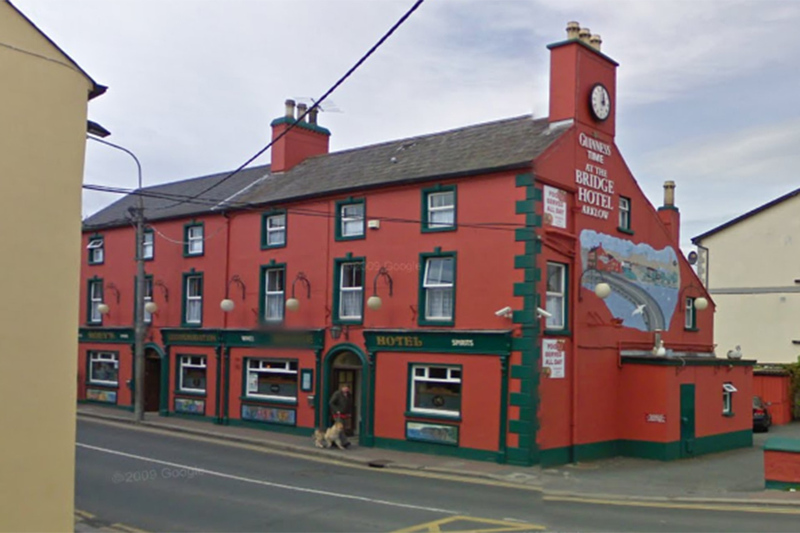 An Arklow hotel has been offered to the new Euromillions winner. The Bridge Hotel located on Bridge street in Arklow placed an advertisement in the Irish Independent this week. 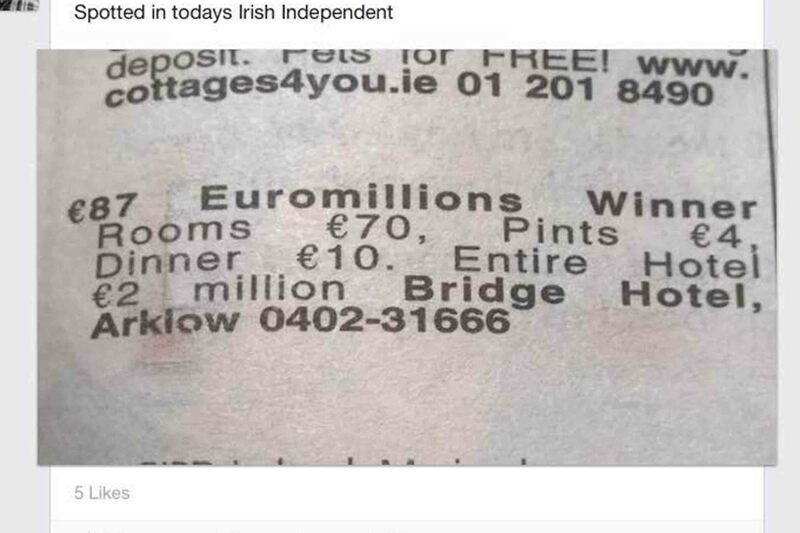 The ad which appeared in the classified section read Rooms €70, Pints €4, Dinner €10. With the entire hotel for €2 million. The winners of the €87 million collected their winnings on Monday last, the winning ticket was sold in Centra in Ballybrack. As far as we are aware no one has contacted the Hoey family, but the ad certainly made us smile.